Welcome to Urgent Care La Jolla! Conveniently located in the heart of La Jolla Village. Walk-Ins Welcome! No Wait! 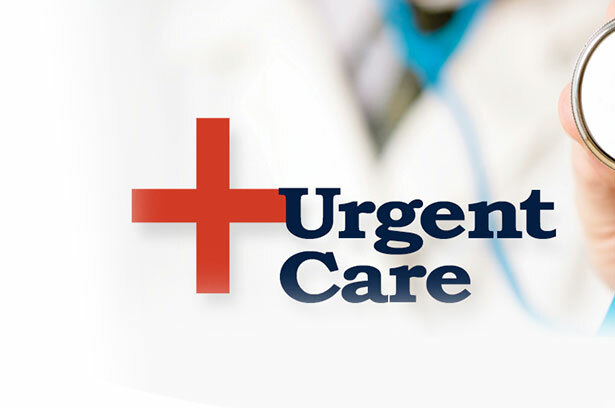 Urgent Care La Jolla is a convenient, locally owned and operated clinic for family medicine and urgent care. We provide minor emergency care for fever, sprains, cuts, colds, flu-like symptoms, sore throats, asthma, and many other ailments. We assist in the management of hypertension, high cholesterol, diabetes, and other difficult but non life-threatening medical conditions. Urgent Care La Jolla also specializes in vascular disease including sclerotherapy and varicose vein treatment. Come visit us at 7634 Girard Ave Ste J. Walk-ins are always welcome however we always recommend scheduling an appointment ahead of time. We look forward to providing you the best medical treatment in La Jolla Village! Thank you for choosing Urgent Care La Jolla! Here at Urgent Care La Jolla, we pride ourselves in our ability to accommodate patients with and without appointments. We understand that illness is unpredictable and make extra effort to treat those that come anxiously awaiting a consult with a physician. We value your time and will treat patients much more quickly than local hospital emergency rooms. With all this said, we definitely encourage our patients to call 911 or visit the emergency room if they feel their symptoms are severe and/or life threatening. As a locally owned and operated clinic, we see patients from all over San Diego though the majority come from La Jolla Village, Torrey Pines, Pacific Beach, Bird Rock, UCSD, and UTC. We also treat a large amount of tourists that may come to enjoy the beautiful area but find themselves injured or feeling under the weather! If you are in need of medical treatment in La Jolla we are here to help! Give us a call to schedule an appointment, walk-ins also welcome! 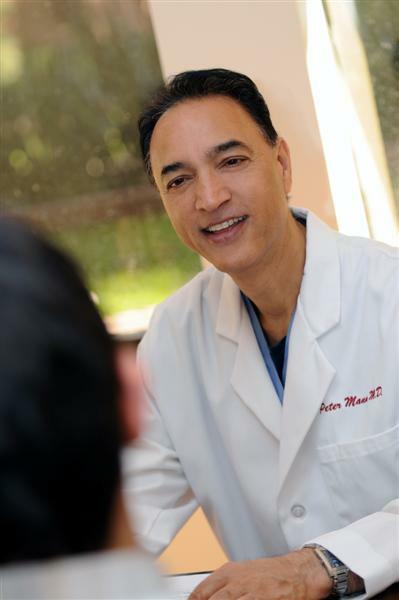 Dr. Mann has more than 30 years of experience operating in Emergency Rooms across California. Our lead physician, Dr. Mann, has studied in several of the county’s most renowned surgical programs including Yale and the Medical College of Pennsylvania. He then went on to pursue the rigorous testing and peer evaluation process of obtaining Board Certification in Emergency Medicine. This Board Certification is a trusted credential and demonstrates Dr. Mann’s mastery as well as exceptional expertise of the Emergency Medicine specialty. Furthermore, Dr. Mann is continually committed to ongoing evidence-based education through the American Osteopathic Association, one of the three largest nationally distinguished multi-specialty certifying bodies in the United States. This translates to Dr. Mann being able to provide the absolute best in patient care and reflects his embodiment of the 5 core virtues of the modern physician: Excellence, Compassion, Loyalty, Fortitude and Honesty. Dr. Mann is extremely honored to serve as the Medical Director and lead physician of Urgent Care La Jolla. Serving his community, improving health and saving lives has been Dr. Mann’s passion for his entire professional career. This same fervor for healthcare extends to the all the nurses and medical assistants that work alongside Dr. Mann. Together, Dr. Mann and his team at Urgent Care La Jolla, are guided by the same set of core virtues and unifying mission to provide the very best healthcare to every one of our patients regardless of race, ethnicity, gender, gender identity, religion, age, sexual orientation, disability, life experiences, geographic backgrounds, skills and talents among others. We believe in treating our patients, and each other, with the dignity that every human being deserves. See a Doctor Immediately. No Wait Time! The patience that Dr. Mann exhibited with my child during our appointment was particularly impressive. My two-year-old son was in intense pain with what seemed like an insufferable ear infection. He was crying incessantly and wailing his arms, and legs, around everywhere. Dr. Mann remained calm amidst the craziness and with his soft voice, and clever/distracting children’s toys, he was able to treat my son with extreme skill and grace! Baby whisperer much? Yes. Dr. Mann is the best! My family and I recently visited this urgent care with a bad case of food poisoning. In addition to the superb medical care we received from Dr. Mann and his team, we were all shocked with how beautiful the office was and how calming it made us feel. There is simple yet elegant décor, relaxing music playing, lots of natural light and a massive living plant wall masterpiece in the waiting area! I’ve never seen such a well thought out urgent care clinic – the design is quite ingenious! Dr. Mann is the only doctor that I visit in San Diego while I live and study here at UCSD. I’ve visited him for my prescriptions, vaccines, physicals and flu medicine. I’ve also recommended him to all my friends because I trust him and his staff so much. They never try to cut corners on anything or rush with me during my appointments, even when they’re busy. They provide plain old-fashioned healthcare, every time. I’ll miss Dr. Mann when I move back home! Thank you for everything Dr. Mann! Dr. Mann is a wonderful, caring and special physician. I’m was pleasantly surprised to find myself not dreading my appointments to the doctor’s office and I owe it all to Dr. Mann. He listened, with true intent, to my health concerns during this scary flu season, and provided me with some of the best and unique preventative medicine I’ve ever heard of. I now feel confident that I am doing everything I can to promote a healthy lifestyle. Can the physician at the Urgent Care provide me with medication for treatment? Dr. Mann is a Board-Certified physician and can write prescriptions for all medications that a patient may be in need of. There is a pharmacy conveniently located just a few doors away! I have a primary care provider/family doctor, can I still visit Urgent Care La Jolla? You can absolutely still visit Urgent Care La Jolla even if you have an existing physician. In fact, as an urgent care, we are not geared toward long-term care and encourage you to see us in conjunction with your primary care physician. Patients often visit our Urgent Care because they cannot make an appointment with their primary care physician or because they need to be seen on the weekend. What if my visit at Urgent Care La Jolla isn’t enough and I need to see a specialist? As a well-respected and trusted physician in the area, Dr. Mann is happy to refer his patient to a specialist in the area if required. Dr. Mann and his team will work with you to find the best place for your healthcare needs. Should I bring anything with me when I come to visit the clinic? If possible, it is best to bring your photo ID and any pertinent medication, allergy or medical information. This may include laboratory data, imaging results, or anything you may think would be helpful to our team. I’ve just realized I need a physical exam for school/work, can the urgent care physician do these? Here at Urgent Care La Jolla, we are happy to provide a physical examination for any athletic or labor force needs. Dr. Mann, as a board-certified physician can perform the exam and sign any necessary documentation or recommend to other specialists as needed.